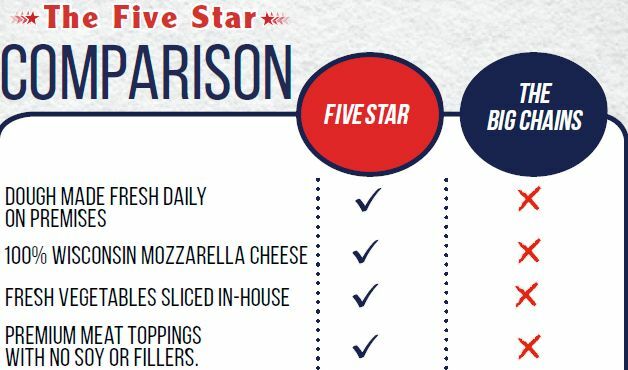 At Five Star Pizza, we are passionate about our pizzas. We work relentlessly to source the best possible ingredients, regardless of cost. 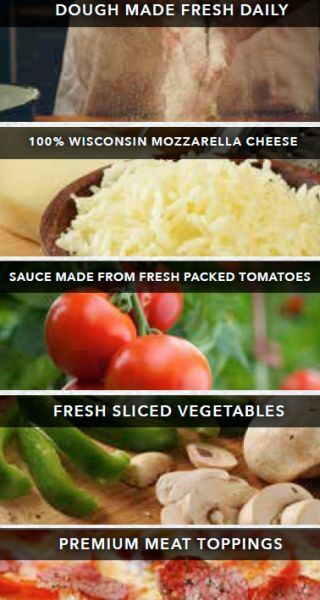 From our Wisconsin mozzarella cheese to our California fresh packed tomatoes, our real meat toppings, no soy or fillers, our fresh sliced vegetables, sourced locally when possible. We proudly serve Springer Mountain Farms all natural chicken wings - no antibiotics, no steroids, no growth stimulants, no hormones. In addition to the very best ingredients, we make pizza the way pizza was meant to be made - hand tossed with dough fresh-made in each store every day. Cheese shredded and vegetables sliced daily with great care. 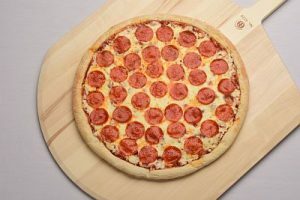 But we couldn't deliver the best pizzas without the best staff - the friendliest people to take your order, make your pizza, and deliver it faster than you thought possible! 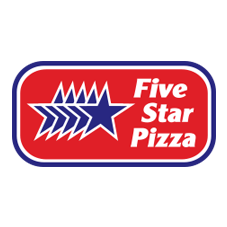 Our simple goal - To exceed your expectations each and every time you order and to make you as passionate about Five star Pizza as we are!